Looks like Razer needs ... wait for it ... sharper security. Someone ruffians have broken into their San Francisco Bay Area R&D labs and stolen two of their prototype gaming laptop hybrids. According to Razer's Facebook page, the two Razer Blade prototypes were nicked earlier in the month and Razer respectfully asks that you don't buy one of them should some criminal-type offer you one from the back of his truck. That's assuming you have the cash in the first place. 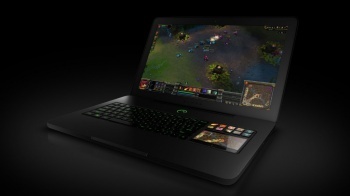 The current model of the Razer Blade with a 17" screen retails for just shy of three grand. Razer is currently appealing for any information regarding the stolen prototypes, you can email them at [email protected] to negotiate your terms.